When I first stumbled across the Nars Audacious lipsticks in Autumn last year, I did a double take and then literally just stood there like a little girl choosing which sweets to buy. 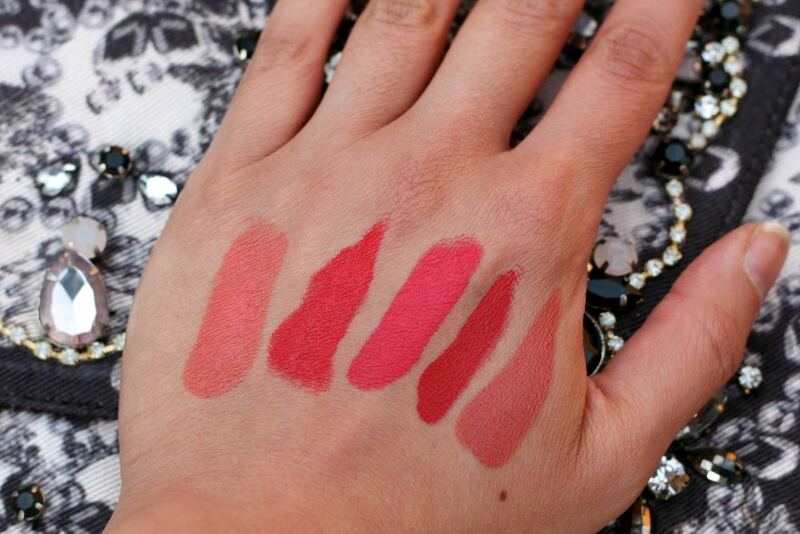 With 40 lipsticks in the collection (some stores only stock 30), it’s no wonder I couldn’t stop swatching away. These retail at £24 and given the price tag, the intention was to just stop at two but since then I’ve added a further three to my collection, which was always going to happen! If you haven’t tried these yet you really need to. There are just so many colours to choose from and the pigmentation is out of this world where the colour you get in the tube is exactly what translates on to your lips – and that’s just with one stroke! 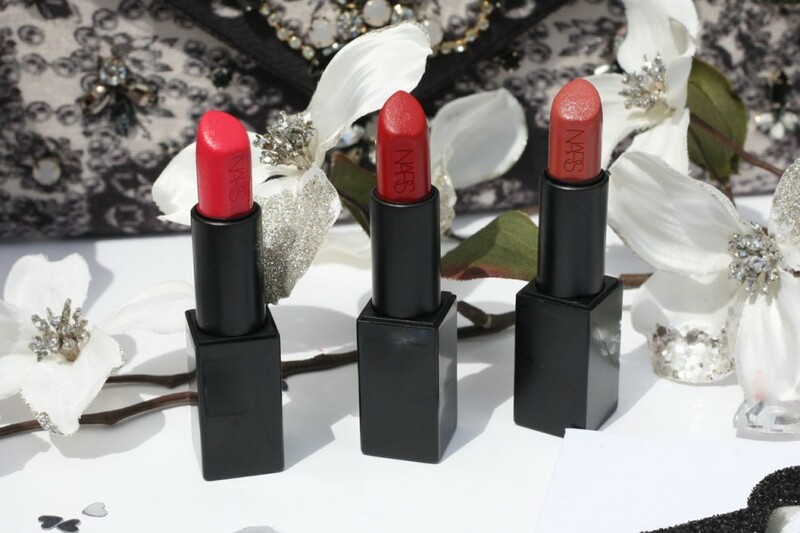 The texture is creamy, leaving a satin finish which is pretty long-lasting and I love the magnetic packaging and overall look of these lipsticks, especially as they have the word “Nars” embossed on the lipstick. All of the lipsticks are named after women that have inspired Francois Nars over the years and so you can see how pigmented they are I’ve swatched the colours I have below. From left to right there’s Catherine, a sunny guava. This is a peachy orange shade which is great for the warmer months, Annabella which is probably one of my favourites and is a poppy red, Grace, a bright pink coral which definitely packs a punch, Rita a brick-red and lastly Jane, which is a teracotta rose with brown undertones. 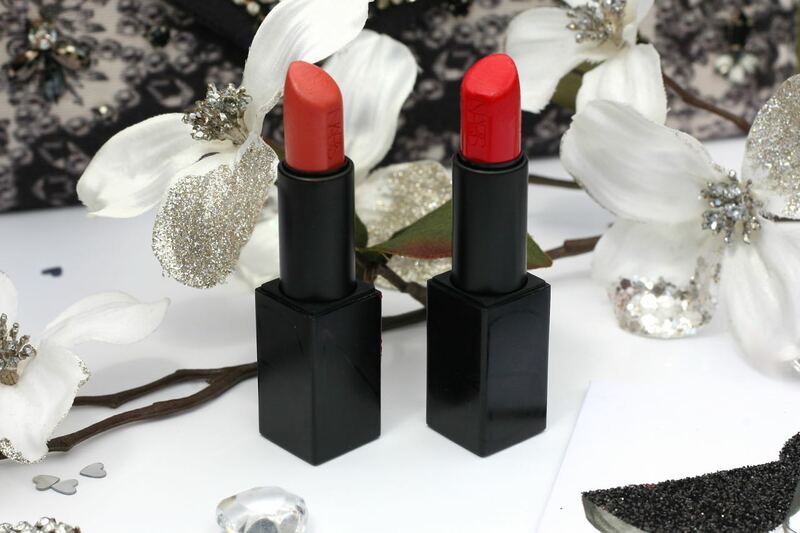 If you are a lipstick addict like me then I would definitely give these a go. Or, if you already have some other colours that you would recommend do let me know – I shouldn’t really but I wouldn’t mind another sneaky purchase!